Reverend Leon Howard Sullivan Jr. was a successful minister, civil rights advocate, humanitarian and corporate leader known for his creation of the Opportunities Industrialization Centers of America and the Sullivan Principles to promote political reform in South Africa. Leon Sullivan was born in Charleston, West Virginia on October 16, 1922. He attended racially segregated schools in Charleston and then received a basketball and football scholarship at predominately black West Virginia State College. A foot injury ended his athletic career and forced Sullivan to work in a steel mill to pay for college tuition. At the age of 18, Leon Sullivan became a Baptist minister. Three years later Sullivan met Rev. Adam Clayton Powell, Jr., who convinced him to move to New York City to attend the Union Theological Seminary. Sullivan was enrolled there between 1943 and 1945. Two years later he received a Master’s degree in Religion from Columbia University. Rev. Sullivan served briefly at Rev. Powell’s assistant at Abyssinian Baptist Church and then became pastor of First Baptist Church of South Orange, New Jersey. In 1950 Sullivan became pastor of Philadelphia’s Zion Baptist Church, remaining there until 1988. While at Zion the church’s membership increased from 600 to over 6,000. Realizing that job discrimination was a major problem in Philadelphia, Sullivan organized and led successful campaigns to challenge discrimination. One such campaign known as the “selective patronage” program was an organized boycott of companies that engaged in employment discrimination. Rev. Sullivan also recognized the need for job training in African American communities and which he felt would assist the effort to end employment discrimination. In 1964, Sullivan founded and led the first Opportunities Industrialization Centers of America, Inc. (OIC) with the first school in an abandoned Philadelphia jail. This non-profit organization established employment and training programs. As of 2008, OIC has grown to include 60 affiliated programs in 30 states and the District of Columbia. In 1971 Sullivan was elected to the Board of Directors at General Motors Corporation (GM), at this time, the largest employer in South Africa. Sullivan used his position within this corporation to oppose discrimination. To this end, in 1977 Sullivan created the Sullivan Principles, a code of conduct for corporations operating out of South Africa. The Sullivan Principles were designed to protect human rights and promote equal opportunity for workers in South Africa. This code of ethics was widely acknowledged for challenging racial discrimination in South Africa and helping dismantle apartheid. In 1997 Sullivan extended the Sullivan principles and, with help from the United Nations Secretary-General Kofi Annan, launching the Global Sullivan Principles campaign. These expanded principles call for companies to play a larger role in the achievement of worldwide human rights, equality, economic fairness, and social justice. Sullivan also founded the Zion Investment Association which raised money for small business. The International Foundation for Education and Self-Help (IFESH), however, was one of the most ambitious projects of Rev. Sullivan. The program created the Peoples Investment Fund for Africa, the Self-Help Investment Program, the Teachers for African and Schools for Africa programs. IFESH had provided books and school supplies for the African continent, distributed medicines to prevent river-blindness and helped combat the spread of HIV/AIDS. Rev. Sullivan has received honorary doctorates from over 50 universities and colleges for his humanitarian and philanthropic activities. For his role in helping the economically and socially disadvantaged people of the world he was awarded the Presidential Medal of Freedom by President George H. Bush in 1992. In 1999 his humanitarian efforts were honored when he received the Eleanor Roosevelt Award from President William Clinton. Apart from his role as a religious, corporate, and civil rights leader, Sullivan was also a noted author. 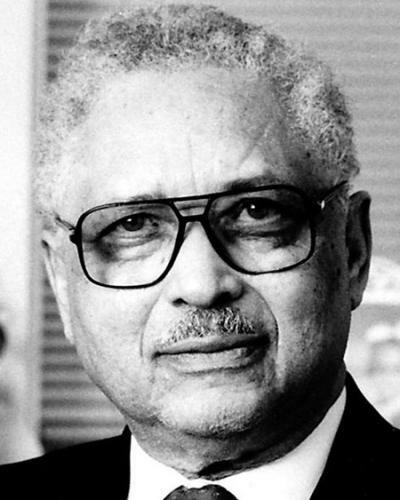 His works included America is Theirs (1948), Build Brother Build (1969), Philosophy of a Giant (1972), Alternatives to Despair (1979), and Moving Mountains: The Principles and Purposes of Leon Sullivan (1998). Sullivan’s legacy is continued by the Leon H. Sullivan foundation. This organization’s objective is to carry on Sullivan’s mission of promoting positive change in the world. In January 2001, a PBS documentary about the life of Sullivan entitled “A Principled Man: Rev. Leon Sullivan” aired. Rev. Leon Sullivan Jr. died of leukemia in Scottsdale, Arizona on April 24, 2001. The Leon H. Sullivan Foundation, http://www.thesullivanfoundation.org/gsp/default.asp; OIC of America Inc, http://www.oicofamerica.org/; Rev. Leon Sullivan: A Principled Man, www.revleonsullivan.org.